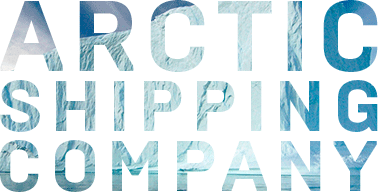 The main specialization of the Arctic shipping company — Maritime cargo transportation in the Arctic region. We deliver goods in ports throughout the Northern sea route. We have created and develop a company that fully meets the client’s needs, implement a multidisciplinary service, including a wide range of services for processing and shipping for shipping in the Arctic highway. Our staff have a wealth of experience transporting goods to the far North. The Arctic sea shipping company has its own fleet, equipped with everything necessary for the passage of the Northern sea route. This highway is 2.5 times shorter than the other navigable trade route passing through the Suez and Panama canals. The Northern sea route — a route through the seas located in the Arctic ocean and the Bering sea (Pacific Ocean). This highway is considered the shortest for timely delivery of goods to the ports of the Arctic, Europe and Asia. Our company focuses on long-term cooperation and partnership, so we offer flexible prices, discounts and try to find individual approach to everyone. We aim to create the most comfortable conditions for the customer: safe and fast transportation, high quality service, assistance in customs clearance and registration of goods. Russian Maritime transport communication, the main shipping artery of Russia in the Arctic. The Northern sea route — the shortest sea route between the ports of the European part of Russia and the ports of the Far East. A binder is the shortest Maritime route between the Far East and the part of Russia, which borders with Europe, the Northern sea route. The legislation clarifies that this Arctic communication has developed historically, is one and the national transport “artery” of Russia in the far North. The Northern Maritime corridor includes the sea of the Arctic ocean and the Bering sea, located in the Pacific ocean. The geographical boundaries of the Northern sea route can be defined with one hand in the West, near the Straits of the Novaya Zemlya archipelago — the track is limited by the Meridian near the Cape of Desire. On the other hand, in the East, the Northern sea route ends at the dividing line between Eurasia and North America. The length of the railway from Kars to the Bering sea, where the extreme points of the route — 5 600 km. So, if you carry a cargo from St. Petersburg to Vladivostok along the Northern sea route, will be almost twice as fast as the road through the Mediterranean, component of 23 thousand km. The ports that serves the Northern sea route, located in the Arctic, and Siberian rivers. Here with Arctic shipping highway shall transport fuel, food, forests, different equipment, coal. Companies that do not have the ice fleet, we can transport the goods through the Suez canal or the Caribbean sea. But from Murmansk to Japan distance is about 13 000 nautical miles, if you sail through the Red sea and the Mediterranean. Whereas the Northern sea route shortens the road to 5 770 miles.